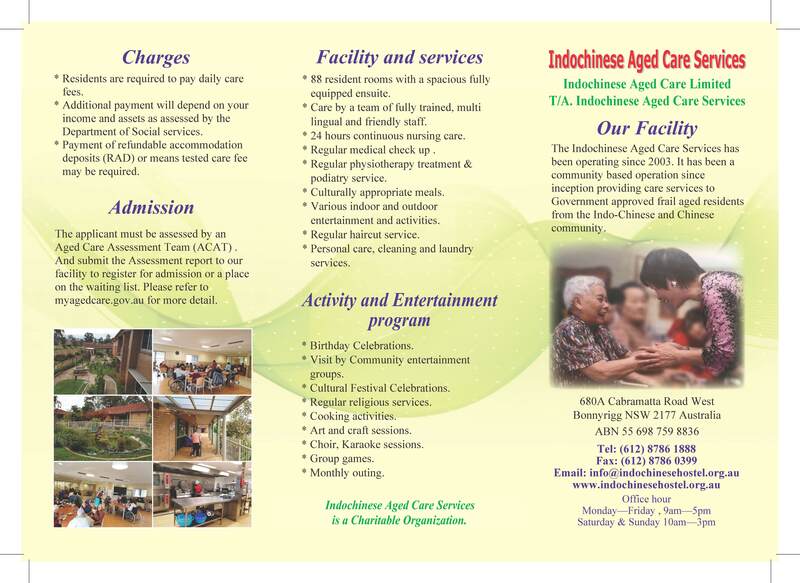 Indochinese Aged Care Services provides different central dining room where residents can have a pleasurable time during their meals and spacious lounge rooms provide residents with the opportunity to have quiet times when required. Furthermore there are many other rooms such as physiotherapy room, exercise room, consultation room, prayer room, treatment room, laundry room etc. Our multi-lingual and friendly staff has formed a strong family bond with residents and treat them as their own family members. The care team provides first rate quality care and always strive their best to improve all aspects of the facility. The Facility provides 24 hour continuous nursing care, trained staff with on the job training, tailored therapy services, regular medical checks and medication planning designed to cater for the increasing fragility of the residents. Our staff includes qualified professional and fully trained support personnel, who work with residents and their families to ensure that the care, food, accommodation, and activities provided are of the highest standard and designed to meet individual needs. Services provided include assistance with bathing, dressing and grooming, bed making, room cleaning, supervision of medication, help with ongoing treatment for health problems, provision of all meals and laundry, assistance with making telephone calls, writing letters & reading, craft, social activities, and a 24 hour emergency call systems. The meals and diets, are in the accordance with established government approved food safety programs but importantly meet the cultural needs of all residents. 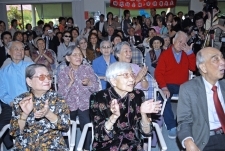 We understand that seeking a suitable aged care facility is a difficult thing to do so we are here to help by striving to live up to traditional family and cultural values and to make family loved ones a part of our hostel family. We celebrate special events with excitement and this includes birthday parties; festival celebrations, Christmas parties, and also our local community groups come in and entertain the residents with singing and dancing. We also provide individual programs, support services and activities Independence is encouraged to help maintain daily living skills. Our staff members support is excellent with their artistic ideas, personal attention and great entertainment so the residents enjoy their stay here at the hostel.